Discover the spectacular Mount Aspiring National Park, New Zealand’s third largest national park which forms an integral part of Te Wahipounamu World Heritage Area. Get up close to the majestic peak of Mount Aspiring and see the spectacular blue glacial fields and surrounding snow covered peaks. With views across the national park, you will have the opportunity to see for yourself why the park is the jewel in the local crown. 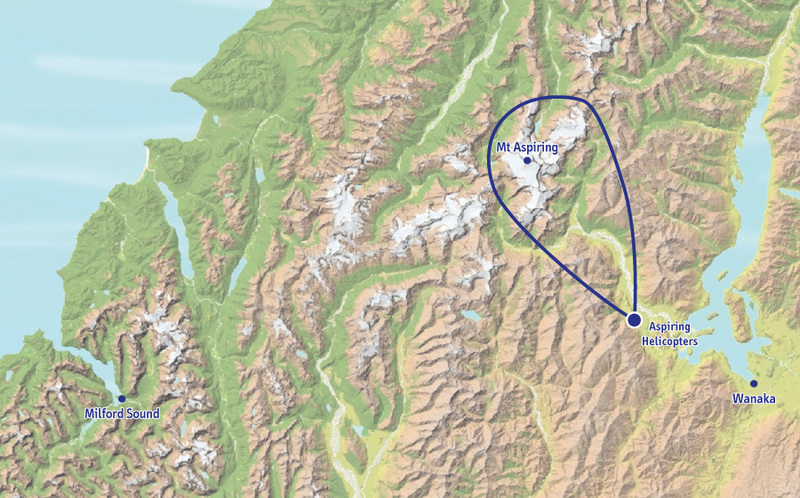 Trip includes two alpine landings. Note: Snow landings are offered if conditions permit.